The only way to make these big companies listen to us the consumers is to stop buying their products. 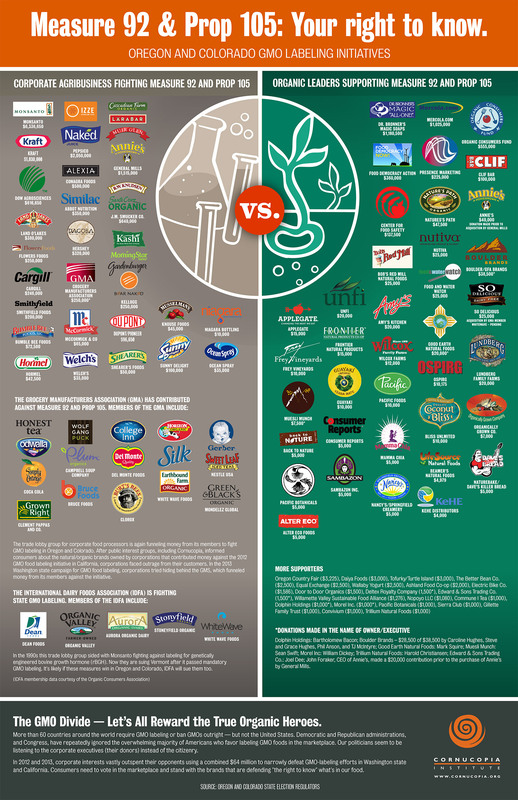 Here are some graphics showing Pro-Gmo companies. These companies are spending millions and millions of dollars to stop the labeling of GMO’s. We have the right to know what we are feeding ourselves and our families. 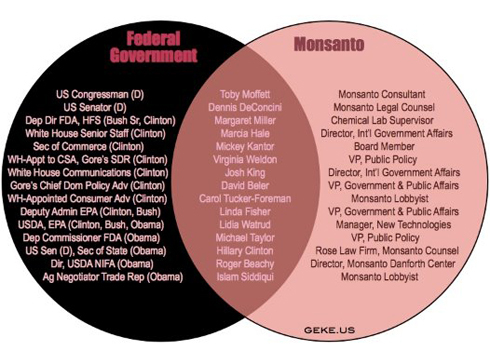 Who are the cunning corporations behind GMA’s scheme to defeat GMO labeling? Find out here: “The Boycott List.” Use the embed code to share it on your website or visit our website for the high-resolution version. I know Cristy, I really is ridiculous… these companies have to know how dangerous GMO’s are for us and the planet. I admit I’m not completely clear on what GMOs are, but I keep hearing more about them & it doesn’t seem good! Thanks for the info. Thank you for the info. That’s quite a list huh? Thanks a lot for sharing this. I had no idea either. This is a holy moley moment. Who would have thought this was happening. Some companies have no limits or boundaries. It is quite shocking Debra what some people will do for money. I am not so blindly trusting anymore. WOW that’s some big list! I never knew there were that many companies out there which insist on adding these GMO’s into their products! I’m really shocked! I totally agree… it is shocking! I admit that’s quite some list!